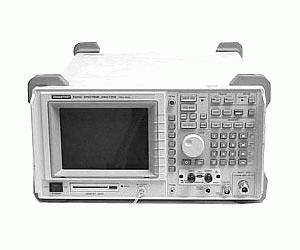 The Advantest R3265P is a quasi-microwave spectrum analyzer designed to meet the user needs and to ensure easy operation. The R3265P incorporates a time domain function so it can be used for both digital and analog mobile communications. The R3265P unit performs especially well in measuring the spurious emission intensity of mobile communication equipment, the bandwidth of occupied frequencies and signal leakage from adjacent channels.